Fall is the perfect time to refresh your home décor. With temperatures dropping and holidays around the corner, it’s likely that you’re going to be spending more time indoors. The change of season offers a perfect excuse to redecorate your home so it’s primed for indoor activity—entertaining, Netflix-ing and all-around nesting. To help make your transition into the new season easy, we tapped Decorist Design Director Jessica McCarthy to share her knowledge on Fall 2017’s hottest décor trends. Judging from her trend forecast, this season is all about h and saturated décor details—a moody atmosphere where luxurious comfort is key. Read on for the essentials to create a cozy yet bold fall interior and how to transition your home for the new season. While it seems like just yesterday we were all about the pastel hues of summer, this season has us obsessing over jewel tones with lots of rich color and shimmer. Think deep cosmos-inspired fabrics and shinny metals more action and drama with those high-octane hues of deep blues and greens, teals, purples and fuchsias. Fall decorating is the start of turning your home into a cozy sanctuary. Homes with nooks and places to kick back and relax in are the perfect antidote to our stressful tech-dominated lives. 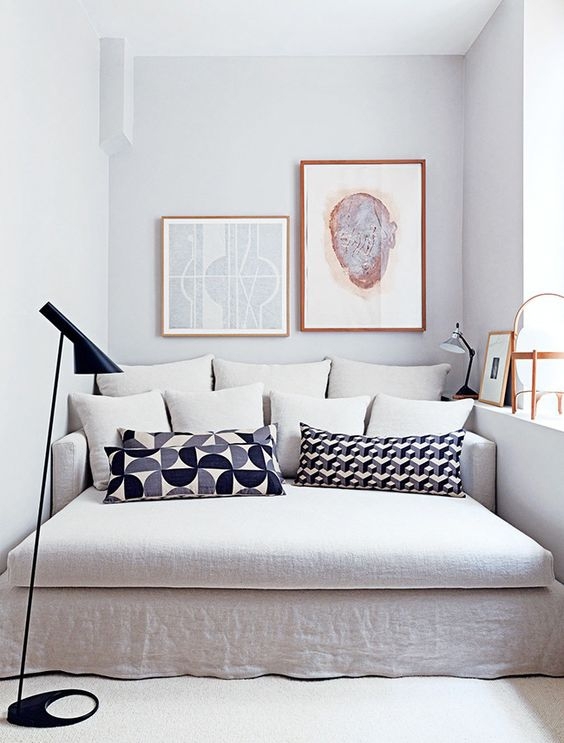 Deep sofas, day beds, knitted accents and linens are just a few of the pieces that can help you turn your home into a cozy, relaxing haven. As temperatures start to drop, we’re seeing a trend rising towards warm and organic materials like terracotta. By opting for a matte finish, terracotta tiles can inject a natural, rustic, paprika tone to interiors that brings instant warmth and comfort to a space. Timeless, earthy and imperfect! With the resurgence of these richer darker hues, we’re swapping out some of the bright gold brass accents for burnished ones. Think: burnished metal wallcoverings, surfaces, lighting and décor—the options are endless. There’s a reason why velvet dominates as the “it” fabric in the fashion and interior design worlds. Velvet’s luxurious sheen and soft texture feels cozy and expensive all at once. Decorate your space with velvet seating, throw pillows and curtains to make your home luxe, bright and totally on-trend. Plus, every color looks good in velvet, especially deep blues and rich fuschias. Try finding a color that doesn’t look good in velvet—trust us, it’s near impossible. High shine is prevalent in interior design this season, and lacquered walls are a sure way to bring the gleam into your home. 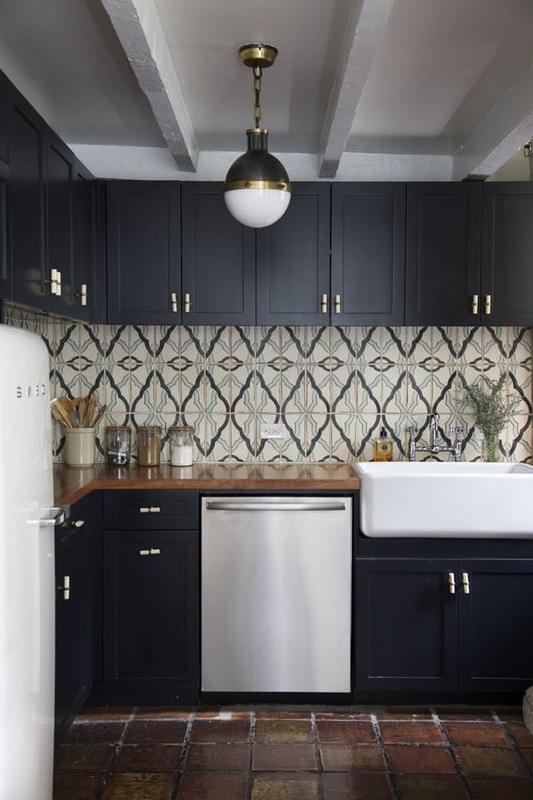 A high-gloss coat of enamel on your walls can add character as well as enlarge visual space, making this trend a serious win-win. Be open minded when it comes to materials and surfaces. This fall, every and any material can be mixed and matched to your liking. A single room can be decorated with a marble surface, ceramic vases, raw wood and the gleam of metal. This season is all about a balance of contrast in natural materials, and we’re loving it. You’ve heard of the accent wall, but what about the accent ceiling? Textured wallpaper, tin, wooden beams or a bold paint color can completely transform your ceiling and your space. The eyes naturally look upwards, and we couldn’t think of a better way to add serious drama to a room. Feeling inspired? Well, new is the time to start your own design project to freshen up your home with the latest fall décor trends. Our designers are pros at creating gorgeous rooms within your style and budget. Hurry—designers get booked quickly, so get started today!